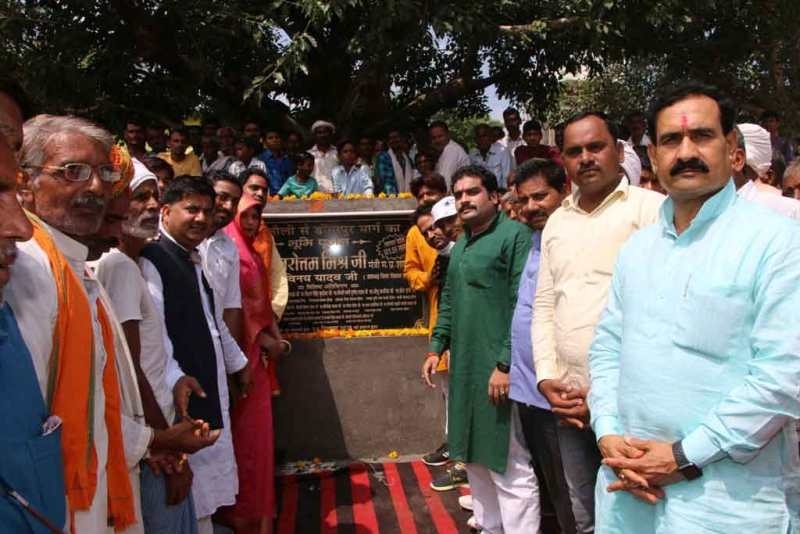 Bhopal: The Minister for Public Relations, Water Resources and Parliamentary Affairs Dr. Narottam Mishra dedicated and performed bhoomi poojan of development works costing Rs. One crore 6 lakh 5 thousand. He performed bhoomi poojan of Dogarpur-Banoli road costing Rs. One crore One lakh 55 thousand in Dogarpur village. Besides this, he dedicated aaganbadi bhavan constructed at a cost of Rs. 4 lakh 50 thousand in Banoli village. Local Public Representatives were present on the occasion.